As they promised a few days ago, Kia is launching a new series of mild-hybrid powertrains, beginning with a diesel. This engine will be make its debut in the new Kia Sportage Mild-Hybrid Diesel, set to go on sale in European markets from the third quarter of 2018. The EcoDynamic+ 48V diesel mild-hybrid powertrain featured in this SUV comprises a new 2.0-litre ‘R’ diesel and a 48 Volt battery, hence the name Kia Sportage Mild-Hybrid. While the performance figures for this system are yet to be revealed, Kia has confirmed the output of the new 1.6 U3 diesel engine which replaces the old 1.7 unit in the range. It comes in two editions, with 115 or 136ps, with higher-powered models available with all-wheel drive and seven-speed double-clutch transmission, and it’s EU6 compatible in terms of emissions. Along with the new powertrain the 2019 Kia Sportage Mild-Hybrid benefits from some design upgrades as well. Mild revisions have been applied to the bumpers and lights, and you get new 16-, 17- and 19-inch alloy wheel designs as well as chrome sill trim and metallic skid plates, plus five new paint colours. The GT-Line shows the full effect of these upgrades with a gloss black hot-stamped radiator grille, a gloss black and silver skid plate, and dark chrome inserts on the side sills and rear tailgate. 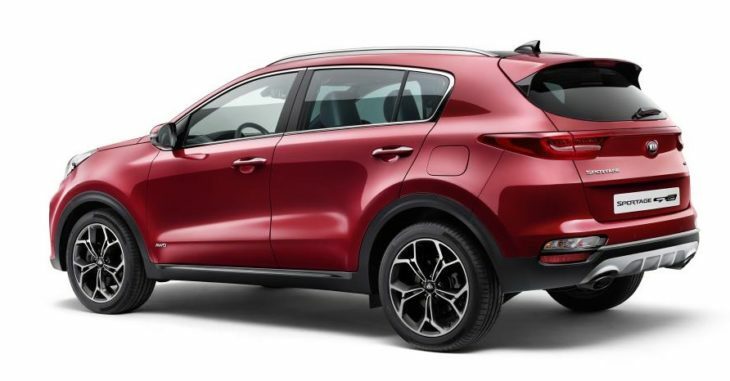 Inside the cabin the 2019 Sportage features a new steering wheel and revised instrument cluster, as well as new black-and-grey two-tone upholstery. In terms of equipment and technology features, you can expect Smart Cruise Control with Stop&Go, an Around View Monitor, and 7 or 8 inch infotainment systems. The post 2019 Kia Sportage Mild-Hybrid Diesel Announced appeared first on Motorward.